Top military officers from around Southern California visited Edwards for this year’s Mojave Commanders’ Summit June 7 at the Airman and Family Readiness Center. 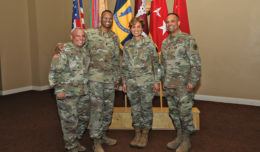 Pictured from left to right: Army Col. Matthew Moore, National Training Center, Fort Irwin, Calif.; Brig. Gen. Kevin Killea, Marine Corps Installation West; Brig. Gen. Carl Schaefer, 412th Test Wing commander; Rear Adm. Yancey Lindsey, Navy Region Southwest; and Rear Adm. Brian Corey, Naval Air Warfare Center Weapons Division. 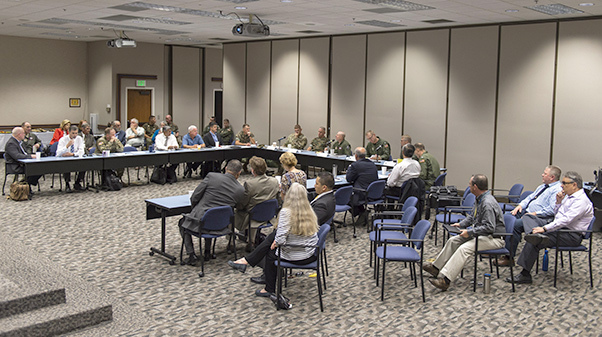 Military leaders and stakeholders from around the region met at the Airman and Family Readiness Center at Edwards Air Force Base, Calif., June 7, 2017, for this year’s Mojave Commanders’ Summit. 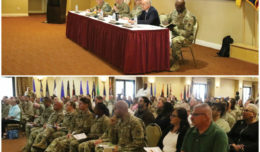 The summit provides a forum for military commanders around the Mojave Desert in California to exchange ideas and resolve issues affecting military operations within the region, according to its charter. The primary focus of the MCS consists of air and ground encroachment, endangered species preservation, renewable energy development, special-use airspace and any other issue Mojave military organizations may have in common. Brig. Gen. Carl Schaefer, 412th Test Wing commander, was joined by Rear Adm. Brian Corey, Naval Air Warfare Center Weapons Division; Brig. Gen. Kevin Killea, Marine Corps Installation West; Rear Adm. Yancey Lindsey, Navy Region Southwest; and Army Col. Matthew Moore, National Training Center, Fort Irwin, Calif. The military members were also joined by representatives from the U.S. Bureau of Land Management and the California Governor’s Military Advisory Council among others. “The annual event is paired with the R-2508 (airspace) Joint Policy and Planning Board and is a forum that fosters an environment of cooperation among all Mojave military installations to sustain military facilities, ranges and airspace, and ensures the highest possible caliber of testing and training operations in the Mojave Desert,” said Scott Kiernan, 412th TW Plans and Programs sustainability officer and Encroachment Prevention Management. Key topics covered this year included coordinating multiservice outreach efforts; establishing annual Mojave region range tours for elected officials; water sustainability; implementation of the Desert Renewable Energy and Conservation Plan by Bureau of Land Management; and preparation for the upcoming California Governor’s Military Advisory Council Defense Summit. The 2017 Mojave Commanders’ Summit was held at the Airman and Family Readiness Center at Edwards Air Force Base, Calif., June 7, 2017. Kiernan said the Air Force defines encroachment as any deliberate action by any governmental or non-governmental entity or individual that does, or is likely to inhibit, curtail, or impede current or future military activities within the installation complex and/or mission footprint; or any deliberate military activity that is, or is likely to be incompatible with a community’s use of its resources. 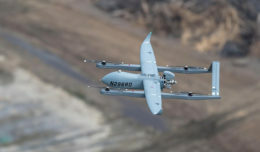 “Some of the more prominent encroachment concerns that can impede DOD mission capabilities in and over the desert include frequency spectrum, energy compatibility/availability and urban growth,” said Kiernan. Kiernan added that all military installations and ranges within the Mojave Desert have committed substantial resources to protect the threatened Mojave Desert tortoise. Some of these efforts include maintaining and restoring tortoise habitats; translocating tortoises to allow for active range expansion; monitoring tortoise behaviors; and educating all installation users on tortoise protection requirements. He also mentioned the Joshua tree is currently under review by the U.S. Fish and Wildlife Service as a threatened species under the Endangered Species Act. 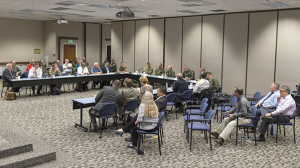 The MCS rotates its meetings every year between the different military installations. Last year, the summit was held at Fort Irwin, home of the U.S. military’s National Training Center.